I have yet to meet a teacher that didn't have at least one student in their class that struggled with regulating their emotions! As a speech therapist, I work with many students with social skill challenges that often have difficulty regulating their emotions. When we struggle with regulating our sensory systems, it makes it difficult to control our behavior, words, tone of voice, and actions in social situations. 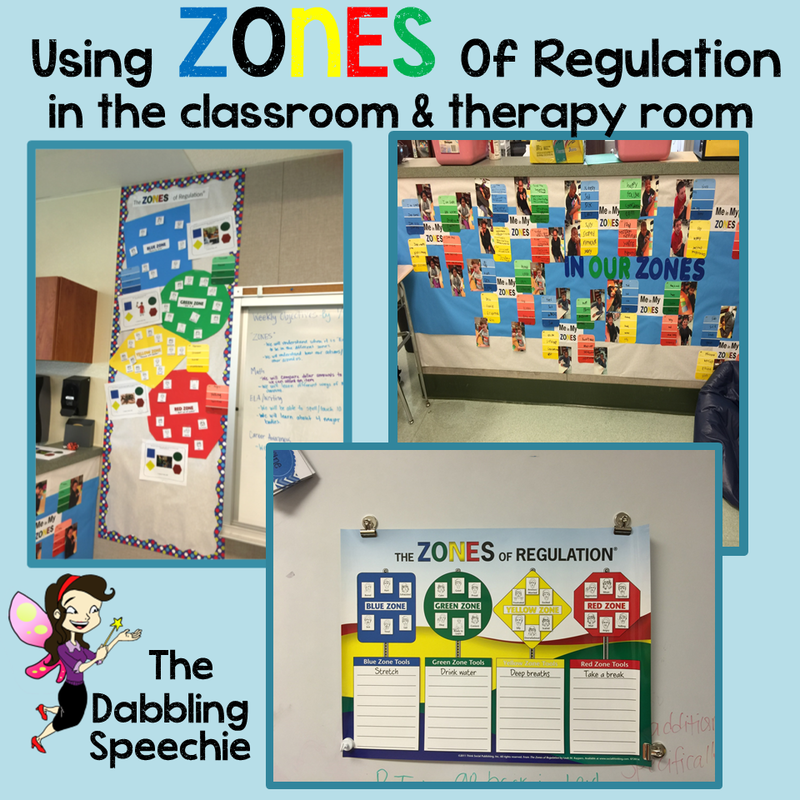 The Zones of Regulation curriculum is really easy to teach and implement in your classroom. I love embedding it into my lessons and using in classrooms. Find out some great ideas about how to use this curriculum over on my BLOG!